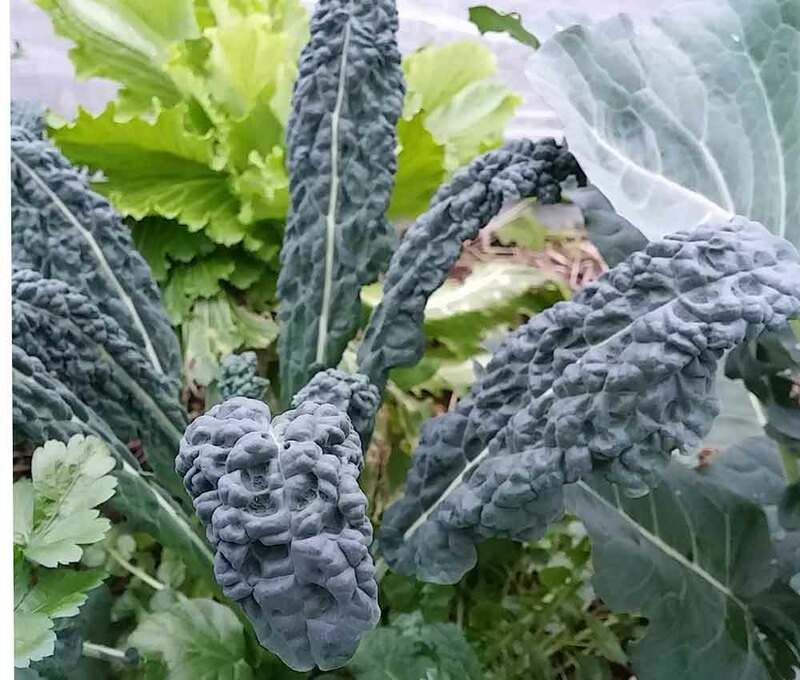 Black Toscana (Cavalo Nero - pictured above), a long dark-green/blue leaf variety. For most varieties harvest can start after around 7 - 8 weeks. If there are too many leaves for your household, take them to your local Harvest Swap, feed them to your chooks or add them to your compost heap or worm farm! Crop rotation – despite what my non-gardening mates believe, is NOT the twisting of sunflowers to chase the sun (although, they do have a point… they are crops, and they are rotating!). Crop rotation is in fact a method of managing plantings, both on a small (vegie patch) and large (farm) scale to minimise the risk of pests and diseases, and maximise the yield and productivity of crops. Yup, it all sounds terribly technical, but I promise you it’s not! Hey, if I can manage it, I reckon just about anyone can! The definition of crop rotation I like the most is ‘The successive planting of different crops on the same land to maximise soil fertility and help control pests and diseases.’ Okay, it sounds very agricultural, but, in essence, this is the principle that we, as home gardeners, can apply to our vegie patches. And let me tell you, it works. 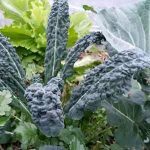 The top notch vegies that we grow in our yummy yards, almost always, remove many and various nutrients from the soil during their growing periods. That said, a number of them replace nutrients as well (think beans, peas and other legumes). By varying what we pop in the patch, and what type of crop follows another, we can ensure that our vegies get what they need from the soil… and we get what we need from our vegies! The other benefit of rotating our crops is that the process helps to interrupt the cycle of host specific pests and diseases. This means that harmful pests and diseases are unable to build up to damaging levels either in the soil or on the host plants themselves. Crop rotation has ‘moved’ their favourite host plants from the area, perhaps whilst the pests were ‘resting’ over winter, and essentially they are now unable to breed or, if they do breed, they no longer have a food source for their young to thrive. Hence the cycle is broken! Hurrah!! Crop rotation is a common practice in many large scale agricultural endeavours, such as in the rice paddies in Southern China. Over a two year cycle, a rice crop is generally followed by an “upland”, non-related crop (such as sugar cane) to help break the cycle and infestation of rice borer. And it must work, cause these guys have been doing it for a long, long time! In fact, crop rotation is reportedly one of the oldest cultural practices that is still kicking around….early civilisations in Africa and Asia used it, as did the Romans. Everyone and their gardening book has a different method for successful crop rotation. After much discussion in the SGA trenches, we have come up with a system we like a lot. It’s simple, easy to manage, and it works! Our system works on a four bed rotation, meaning there are four separate planting areas. Don’t fret if your garden doesn’t seem big enough to cope with all these beds. You can instead have just one bed and rotate the produce each season. It may mean you can’t grow tomatoes every summer, but you’ll have fun with a lot of other vegies in between! Vegies you can trade for tomatoes at your local vegie swap. If your garden is large enough, use what space you have available, and divide this up into four separate “zones”. 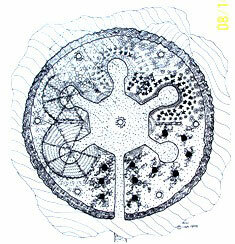 Or, if you are starting from scratch, consider a mandala circle style vegie garden. While they look amazing, they will also maximise space, and allow for the zoning of planting areas (which in turn makes crop rotation even easier!). You can even have a spot for the chooks! Lets get down to the nuts and bolts of the whole thing… how to do it. Firstly, we need to know a little bit about plant families, because this is a key principle behind crop rotation. Essentially, each area should be planted with a different plant family each season (generally every six months), to help avoid any nasty pest and disease outbreaks. So, who’s related to whom? The principle is that one family member shouldn’t be followed by another family member in consecutive seasons. 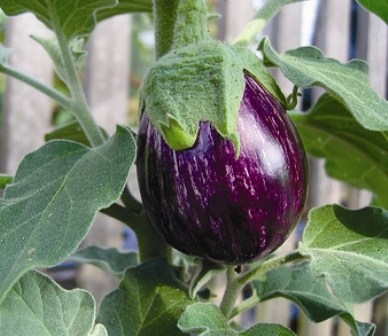 For example, once the tomatoes, members of the Solanaceae family, have finished fruiting and been removed, this area should be planted up with a member of another family such as a peas from the Fabaceae family. There is another reason for this type of planting sequence as well. We know that some plants are referred to as “heavy” feeders, while others are “light” feeders. By introducing a crop rotation system, we can estimate the potential levels of soil nutrients remaining in the plot and plant up accordingly. For example, the Brassiaceae family are mainly heavy feeders and will take a lot of nutrients from your soil. However the Alliaceae family are light feeders and will not do well in a rich soil. Therefore it makes sense to plants onions after cabbages! Sounds complicated? I promise, it’s not! Just think logically and you can’t go wrong! Heavy Feeders include potatoes, tomatoes, cauliflower, broccoli, cabbage, sweet corn, lettuce, cucumbers, zucchini, spinach, lettuce and Asian greens. Light Feeders include onions, leeks, garlic, beetroot, carrots, parsnips and silverbeet. Legumes include peas, snow peas, broad beans, runner beans, snake beans which fix nitrogen. Green Manure Crops are crops grown, not to be harvested, but to be worked back into the soil. These are generally comprised of thickly sown annual grasses and/or legumes, that are tilled back into the soil before they flower or form seed heads. They add nutrients during their growing period and organic matter to soil in veggie patches, perfect for getting the next seasons edible crop off to a good start! Many nurseries stock pre-packaged green manure seeds. Like a lot of things, crop rotation works really well in theory, but can prove a little daunting, especially if you’re memory is anything like mine. 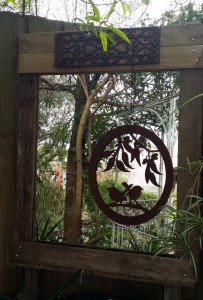 The solution – a blackboard in the garden shed, or a gardening calendar, outlining what was planted in what patch during each season. This is a great visual reminder of what’s happened in your yummy yard, and will help you keep track of the rotations happening in your patch. 3. Do plant a green manure crop at least once in every 4 seasons to replenish your soil. Crop rotation may take a little bit of practice and patience to get right in your neck of the woods, but, once you’ve mastered it, it is as easy as 1,2,3,4! As well as using recycled treasures, Tine tries to be sustainable in other ways. She is a participant in the local council’s Garden's for Wildlife program and has fruit and nut trees, a veggie garden, water tanks, solar panels, indigenous and native plants and a pond. January is here! Wondering what to do in the garden? What vegetables and herbs should you plant? It's the start of the New Year and whether it's time for a little rest and relaxation after a manic December, or you have a New Year's resolution to spend some quality time with your garden; it's time to get out in your patch! While we have been distracted with festive things, our patches have probably suffered a little and are in need of some serious loving right now. We have loads of tips that will encourage your garden to flourish in the sunshine of Summer. While most babies are cute, cuddly and adorable, this is definitely not the case for the offspring of the Black Sawfly Caliroa cerasi. The larvae, known to us as Pear and Cherry Slugs, are possibly the ugliest of all pests, and the mess they make to some of our favourite fruit trees is pretty unattractive as well! A beautiful deep, glossy black with a lighter coloured head, the Pear and Cherry slug grows to only 1cm in length and about 0.5cm wide. Mum is a Black Sawfly, a small, shiny, black wasp with a wingspan of 1 cm and a saw-like appendage with which she cuts leaves of the host plant to deposit her eggs. The female sawfly deposits her eggs in a small slit in the leaves of her favourite trees in spring. After about 2 weeks, the slug-like larvae emerge, munching the leaves to a skeleton. 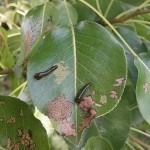 Heavy infestations of slugs can cause serious defoliation, and result in incredibly unattractive and unproductive trees. They drop to the ground where they go through the pupal stage allowing another generation of flies to develop. Slugs will appear in early summer, and, after the next lot of pupae have spent winter in the soil, again the following spring. Pears (incl. ornamentals), cherries (incl. ornamentals), plums, quinces, apples, hawthorns and crabapples. Blast them off the leaves with a strong jet of water and then band the tree with a low environmental impact horticultural glue. Make a deterrent spray by collecting and squashing slugs and placing in a bucket of boiling water. Once this has cooled, spray this on the leaves (including the undersides) of affected trees and scare those slugs away! Some recommend dusting the leaves with wood ash, but since most of us don't have open fires to collect it from, try other powdery substances like chalk or flour. Talcum powder also works for some gardeners. Others have mixed fine builders' lime (about a large handful in a bucket of water). It won't dissolve so keep the sprayer agitated and remove any filters. Since sawflies pupate in the soil, adding wood ash - or even powdered lime - to the soil can help too. These substances may also benefit the soil if it is acid, but don't add too much. Get a couple of chooks to scratch around the base of host trees over winter – they can’t resist the pupae napping in the soil! Create a diverse garden. This encourages predators like other flies, lacewings and wasps and they will all attract insectivorous birds. Plenty of shrubs and herbs with many small flowers will be just the answer. Few things can be quite as satisfying as growing your own vegetables, herbs and fruit. The quality and freshness of home grown produce combined with the peace of mind of knowing which fertilisers and chemicals have been applied has become an important issue to many people. Thoughtful planning before you plant can save you months or even years of wasted effort! You may wish to develop a purely functional layout using formal beds and planting rows, or alternatively formulate a more integrated planting design, which combines vegetables, herbs, fruit and ornamental plants. 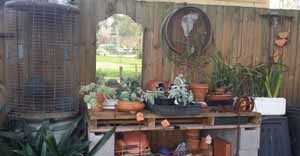 Many techniques or philosophies ranging from organic gardening to biodynamics, permaculture, and companion planting have become increasingly relevant and popular with today’s home gardener. Edible gardens don’t have to be large, even a few pots on a balcony are enough to grow herbs and veggies. With many dwarf varieties available, even the smallest space can be used to grow tasty food including fruit. It is important consider the type or style of garden you want before construction begins in earnest - and even draw it up on paper. 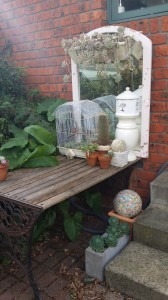 This is a traditional walled, fenced or courtyard garden. The fences or boundary hedges can provide protection from wind and north or west-facing masonry walls can assist plant growth by holding daytime heat and radiating it at night. 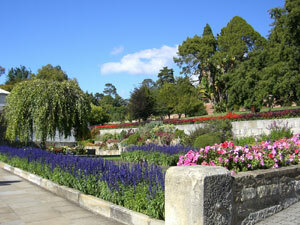 A more romantic, decorative vegetable garden which includes flowering plants - sometimes confused with the Kitchen Garden. An organic garden which uses Permaculture principles for fertility and pest and disease control mimicking the way Nature does things. Such a garden has less emphasis on aesthetics. A combination of some of the above. In reality, it is this style which is most common. Most of us don't start from a cleared block of relatively flat land, and even if we do, we may want to include shrubs, trees and decorative flowers. It is possible to apply permaculture principles to some or all of your garden, or to enclose just a portion of the garden with a wall, fence or hedge. It is also possible to intersperse vegetable beds with beds of roses, dahlias, asters and the like and to grow flowering shrubs along boundary fences. 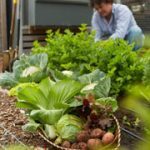 If you like straight rows and regular squares or circles for your garden beds, a wholly permaculture garden is probably not for you. But you could still incorporate some aspects such as "use and value diversity". If you are time-poor, just a few veggies and perhaps just a small number of fruit trees might be a good choice. An easy-to-care-for potager or structured kitchen garden can be achieved in either a small or large section of your land. See more at the end of this page. Steeply sloping land, building cover as well as the size of your "block" will be important in deciding what to plant where. However, it is possible to grow some produce on a small balcony or even inside the house. Most garden vegetables are planted on an annual basis (either for cool or warm season growth) however, many plants including rhubarb, guavas, artichokes, strawberries, cane berries and asparagus survive for many seasons and, along with fruit trees, should be considered as permanent plantings. The suitability of the available space in terms of soil and microclimate - see more below. 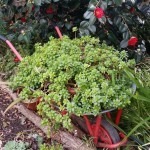 There are many herbs that you might want for culinary use such as thyme, oregano, parsley, mint and rosemary. They have other important features too - their flowers are excellent for attracting bees and other beneficial insects which help in pollination or in controlling pests. 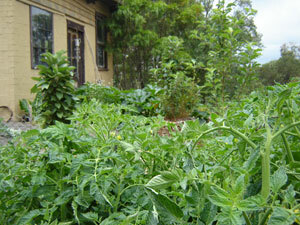 Take care though with herbs which become invasive such as mints (including Vietnamese mint) and horseradish. They are best grown in pots. You might want some of the dozens of other herbs which have beneficial uses. For example, lemon verbena and lemon balm are useful for making teas and additionally provide colour, fragrance and attract insects. Other plants such as the wormwoods and scented geraniums can be useful in repelling harmful insects. Most of these can contribute to permanent plantings. In a potager style they could be grown as hedges to frame and protect the vegetable area. The soil forms the basis of a productive garden. It provides oxygen, water and nutrients to the plant roots, necessary for their growth. A productive soil should have good structure, be well drained, and be rich in compost and manure. If your soil is not like this you may need to postpone planting while you add compost, manure and/or grow some nitrogen-fixing crops such as mung beans, chick peas or lupins then cut them down and dig them in as green manure. The addition of organic manures and compost is fundamental to the success of vegetables and fruit trees. Organic matter provides nutrients for plants as it is broken down by soil micro-organisms eventually forming part of the humus layer in the soil. This greatly improves soil structure leading to better drainage, oxygen availability, water retention and nutrient holding capacity. A compost-rich soil is ideal for growing healthy vegetables. It will encourage a large worm population, supply ample nutrients, good soil structure and drainage. Composting is also excellent as it can recycle most kitchen leftovers as well as garden waste. If your soil is hard clay or almost pure sand you could include raised beds by constructing edging and importing soil from elsewhere. Or no-dig beds or wicking beds could be useful alternatives. It is important that fruit and vegetables receive sufficient sunlight for their growth requirements. Vegetables grow quickly and need sunlight for photosynthesis to produce the energy needed for this growth. 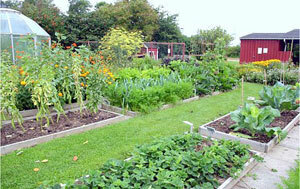 Northern aspects are ideal for a produce garden with beds running roughly in a north - south direction. At least 4 to 5 hours direct exposure to sunlight a day is recommended for most fruit and vegetables. Some say 6 hours. But don't forget that there are some vegetables that don't mind shade. Regular watering is also essential for successful fruit and vegetable crops. Water is a precious resource so think about installing a rainwater tank or a grey water system which re-uses laundry water. Rainwater may be limited by the season (i.e. summer) but grey water is available every time the washing machine is used! Water flow can be regulated to the garden by using soaker hoses or installing irrigation systems. Mulches play an important role in the produce garden. A layer of pea or lucerne straw mulch will retain soil moisture, protect plant roots from summer heat, return organic matter to the soil, keep fruits off the soil surface and reduce the incidence of weed competition. Sugar cane mulch can be used, but is not as useful in providing a little extra nitrogen. Your garden will almost certainly have a boundary fence. It may also have walls of the house, shed or garage. Although they will produce shady areas, some will be really useful for supporting cane berries, passion fruit, chocos, grapes, pumpkins, kiwi fruit, cucumbers and tomatoes. Alternatively, your plan should consider how you will provide support for these edibles if you wish to grow them. 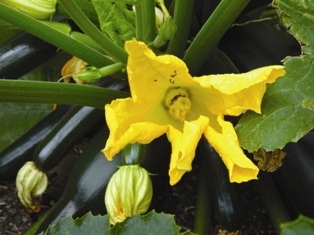 For some, such as cucumbers, a movable or demountable support is useful since they are best when not be grown in the same place in subsequent years. 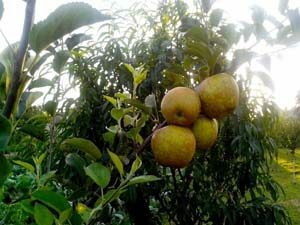 Remember too, that fruit trees can be espaliered on fences, but also on trellises which you could construct anywhere in the garden. Espaliered fruit trees are very productive and take up much less space in your garden. Planting times will vary for different vegetables, herbs or fruits depending on their growing seasons. Generally speaking warm season vegetables are planted out in spring and cool season vegetables planted in autumn. Fruit trees, vines and shrubs, and some root crops are planted in winter. It is essential to plan ahead and ensure space is available throughout the year for different annual vegetables. The presence of weeds in produce gardens is undesirable. Weeds compete for valuable resources and may attract or harbour pests and diseases. Proper mulching of the garden will significantly reduce the weed load. However, you need to be prepared to spend some time removing those that continue to grow - and, if they have not gone to seed, perhaps composting them. Pests and diseases are a natural part of the plant kingdom and it is not possible or desirable to totally eliminate them. 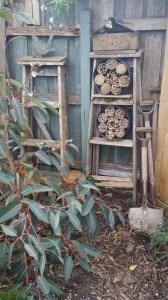 Gardeners should aim to achieve a balance of pests and predators, in which pest numbers do not jeopardise crops, but still provide a food source for the predators such as birds, spiders and predatory insects. Healthy soils and sensible planting and watering also help reduce the incidence of pest and disease. Crop rotation helps to maintain a healthy soil profile and minimises the transfer of disease from one crop to another. There are many systems of rotating crops, some based on the families that vegetable belong to, others based more on nutrient requirements. It is a good idea to periodically leave some areas fallow (nothing planted) or plant a green manure crop that is dug into the soil. Click here for more information. Fruit trees, shrubs and vines will need periodic pruning. Most fruit trees will require summer and winter pruning to produce a good crop of fruit each year. The structural pruning is carried out in winter to form the framework of the tree. In summer, water shoots and upright branches are either pruned back or trained down horizontally, to encourage fruiting over stem growth. Harvest vegetables, herbs and fruit. Check the health of the plants. 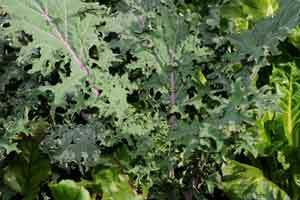 Do not leave old fruit, vegetables and pruning material underneath the plants as these can harbour disease - compost this material, unless the plant has a disease. Monitor weed growth - and pull a few out. Do minor pruning to keep shrubs and trees in shape. Enjoy the fresh air, sunshine, the hum of insects and the songs of birds! SGA caught up recently with our patron, Josh Byrne, to hear how he became interested in sustainability, and what he’s up to with the team at Josh Byrne & Associates. Josh has been a sustainable gardener since getting involved in his family garden growing up in coastal Western Australia. 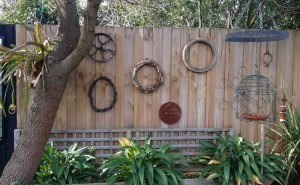 Josh had his own veggie patch, and looked after his dad’s extensive collection of herbs. He was committed to gardening without using herbicides and pesticides from the start, maybe inspired by his interest in the natural world and growing up on the amazing Esperance coast. That commitment influenced Josh’s selection of subjects at high school and later at Murdoch University – he was fascinated by the natural world, and developing his understanding of how the built environment could work best in it. Josh ran a part time gardening round while he was a student. He continued developing his understanding of sustainable gardening, focusing on water conservation and coping with the sandy soils around Perth, with the aim of gardening better in a challenging environment. 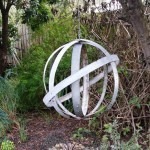 While Josh was studying environmental science at Murdoch University, he lived in an old student rental house, where he and his mates developed a working, productive and attractive garden. Josh became attracted to permaculture principles and the importance of good design to achieving good outcomes. That, in turn, led to his involvement in a research group at Murdoch, working on environmental technologies for regional and remote areas. 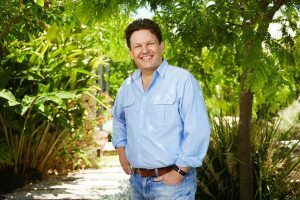 Josh first appeared as a guest presenter on the ABC’s Gardening Australia nearly 20 years ago in 2 segments about his student garden. That led to an invitation to be Gardening Australia’s regular Western Australian presenter. At first he declined the invitation to pursue overseas travel, including working as a volunteer on a permaculture project in Africa, as well as spending time on a Kibutz in Israel learning about advancements in irrigation technology. He returned to Perth and eventually picked up the role where he demonstrates practical ways to create attractive, productive and water efficient gardens to a national audience. Josh is a regular contributor to the Gardening Australia Magazine and author of two best-selling books, The Green Gardener published by Penguin, and Small Space Organics published by Hardie Grant. Josh saw an opportunity to be involved in creating productive and attractive gardens, and educating people about how they could get involved. He established Josh Byrne & Associates which aims to deliver projects for sustainable communities with an integrated approach to landscape architecture, environmental engineering and sustainability, community engagement and communications. Josh has recently been awarded a PhD from Murdoch University and is a Research Fellow with Curtin University’s Sustainability Policy Institute and the Cooperative Research Centre (CRC) for Low Carbon Living, and an Adjunct Associate Professor with the School of Civil and Environmental Engineering at the University of New South Wales. His research activities continue his early interest in urban design, particularly high-performance housing, water sensitive design and sustainable urban developments. Josh consults to West Australian state agencies such as Water Corporation, LandCorp and the Metropolitan Redevelopment Authority on matters relating to urban water management, environmental technology and design and has contributed to projects around Australia. Josh’s interest is in doing urban design better. He’s looking at improving urban sustainability and water conservation with innovative, affordable, sustainable design and developing shared spaces, parks, facades and streetscapes so that as cities become denser, we develop a high quality public realm. On the Density by Design website, Josh seeks out the leading minds and ground-breaking ideas on sustainable higher density residential projects around Australia, that are inspiring change through demonstration. In addition to design and development, nuts and bolts gardening is still a key activity, as is community consultation and involvement. One of Josh’s key interests is the responsible use of garden nutrients. 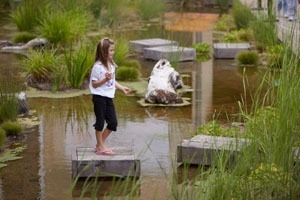 In conjunction with the WA Department of Biodiversity, Conservation and Attractions River Guardians’ program and Water Corporation’s Waterwise program, he has developed and presents workshops providing Perth residents with the ideas and inspiration to create a successful garden while helping the Swan and Canning Rivers to stay healthy. 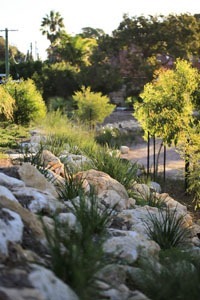 The program included a personalised online assessment tool which aims to provide Perth residents with the knowledge and tools to create a successful garden without impacting the Swan Canning Riverpark. The program is an example of how, as gardeners and community members, we all have opportunities to encourage councils and governments to incorporate great (and sustainable) shared spaces in urban areas, maybe to garden (sustainably!) a little or a lot, to reduce water use, recycle waste and use energy more efficiently. Environmental problems might seem so big that they are insurmountable, but we all have opportunities on our back or front door steps to contribute to the solution. Josh is a recipient of the Australian Water Association’s WA Water Professional of the Year Award, and Murdoch University’s Distinguished Alumni Award for Science and Engineering. He is Patron of the Conservation Council of WA and Sustainable Gardening Australia, an Advocate for the national collaborative 202020 Vision urban greening initiative (a national campaign to increase urban green space in Australia by 20% by 2020) and an Ambassador for the Living Smart household sustainability program and Nature Play WA. 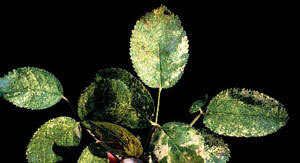 A common error gardeners make is to assume that appearance of coloured areas on leaves is caused by natural variegation, fungal infection or nutrient deficiency. In many cases, the variegated colour of leaves of some shrubs, indoor plants, lettuces, herbs is a natural mutation. Happily, this is not a destructive mutation, but one that results in less chlorophyll in some parts of the leaves, causing a paler and mottled effect. Sometimes, keen gardeners have selected these plants and bred from them. These variegated plants can be lower in vigour and shorter-lived than their 'normal' relatives but this hasn't affected their popularity as garden plants. There is, however, variegation caused by some sort of plant problem. Although some garden pests, such as aphids can cause leaf yellowing, this colour change is not the only sign of an infestation. A more problematic cause of colour change is infection by disease-causing viruses or virus-like viroids and phytoplasmas, of which there are hundreds. 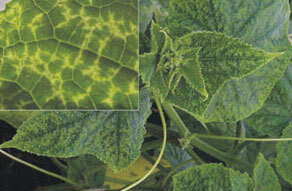 Shown at the left is the leaf symptoms of cucumber mosaic virus (image courtesy of www.whitefly.org). Fortunately, trees and Australian native plants have few virus disease problems and, interestingly, viruses in wild-growing plants don’t seem to develop disease, although they have not been studied as well as cultivated plants. 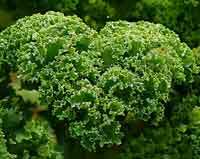 It is in cultivated plants, mainly food crops, that virus infection is of most concern. Because viruses and virioids are very simple “organisms” with DNA or RNA coated by a protein layer. They cannot survive for long or multiply outside of a host so they are 'obligate parasites' - they can only increase in number inside a living organism. Once inside the plant, the plant is harnessed into producing more virus. The plant cannot grow properly because its energy and nutrients are diverted away from normal activities like photosynthesis. 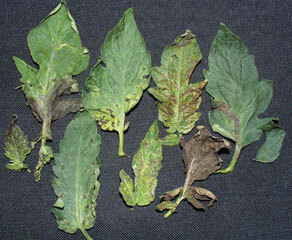 Shown here are the leaf and fruit symptoms of tomato spotted wilt virus (images courtesy of North Carolina Co-operative Extension). Virus infection may result in a variety of symptoms - leaf colour variegation (which may be mottling, stripes or sport) is just one. Viruses may infect all parts of the plant but symptoms are generally most obvious on young foliage. Some result in ringspots, such as ringspot virus on Cymbidium orchids; bronzing, such as that caused by tomato spotted wilt virus; malformations, as caused by potato leafroll virus; and wilting, also caused by tomato spotted wilt virus. It is common practice to use the common name of a virus, rather than its scientific name (unlike the use of botanic names of plants). Viruses are named based on the first plant on which it is studied, followed by the most obvious symptom of the disease on that plant, followed by the virus group to which it belongs. For example, apple mosaic virus is the common name of the apple mosaic ilarvirus, and tulip breaking virus is the common name of the tulip breaking potyvirus. Many viruses have a wide host range, not just the plant it is first studied on, and the symptoms can vary. Plant viruses, like those infecting humans and other animals are spread by some sort of contact. More than 20% of virus diseases are spread via seed where the virus is mostly in the cells required for growth, but some are in the seed coat. Some are spread by vectors such as aphids and thrips. 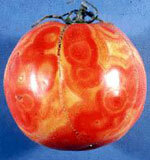 Shown here is rose mosaic virus. 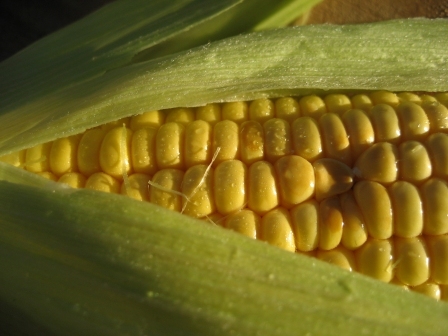 This is likely to be spread by aphids (image courtesy of The Utah Department of Agriculture and Food, Division of Plant Industry). Some are carried by single celled organisms such as Polymyxa betae which transmits Beet necrotic yellow vein virus by infecting plant roots. If plant leaves become damaged by cultivation or animals feeding, sap containing virus may be transmitted another plant. This has been observed with cucumber mosaic virus. Although rare, nematodes and fungi are also implicated. Parasitic plants can spread viruses. Tobacco mosaic virus can even survive in dead infected tobacco leaves in cigarettes. All virus diseases will be transferred from infected parent plants through new bulbs, corms, tubers, stolons, and cuttings. As we know from human virus epidemics, animal viruses are almost impossible to control except by avoiding exposure, mounting our own immune system to fight off the infection or by vaccination. Plant don’t have the same options - once a plant is infected it remains infected. Some viruses do not infect the growing tip of a plant (the meristem) and this is often used to advantage by growers. The unaffected tissue from the meristem of a plant can be tissue-cultured and can result in virus-free plants. There are no chemical or biological controls. Removing infected dying plants and destroying them so that vectors such as aphids do not spread the virus to healthy plants. 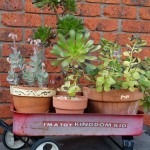 Keeping weeds away - they can host viruses, so keep the surrounds weed-free. Paying attention to your own hygiene because some viruses can be spread by handling, so hand-washing between plants can be a necessity. Growing disease-resistant varieties - many resistant varieties of crops of economic value have been developed. Insect -proofing greenhouses. Professional growers often rely on insect- proof greenhouses to keep out possible virus-carrying vectors. Quarantining plants for suspect locations. There are many virus diseases not yet in Australia, so quarantine is an important method of preventative control. Please adhere to quarantine legislation - you never know what a plant or seed might be carrying.